A man and a woman were arrested at the scene on suspicion of attempted murder and are currently in police custody. The altercation took place in Main Street, Ballycarry shortly after 1am. Police have confirmed that three men, two of whom are in their 30s and one aged in his 60s, were treated in hospital for stab wounds to the body as a result of the incident. Their injuries are not believed to be life threatening. A police spokesperson added: “A 31-year-old male and a 27-year-old female were arrested at the scene on suspicion of a number of offences, including attempted murder. They remain in police custody at this time. 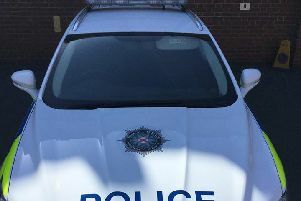 “Detective Sergeant Miller is appealing for anyone who was in the area of Main Street and who witnessed the incident or anyone with any information that can assist with the investigation to contact detectives in Ballymena on 101 quoting reference 87 11/08/18.